Home ⁄ The Wire ⁄ [THE DAILY GRINDHOUSE INTERVIEW] MARTIAL ARTIST & PRODUCER HARRY MOK! 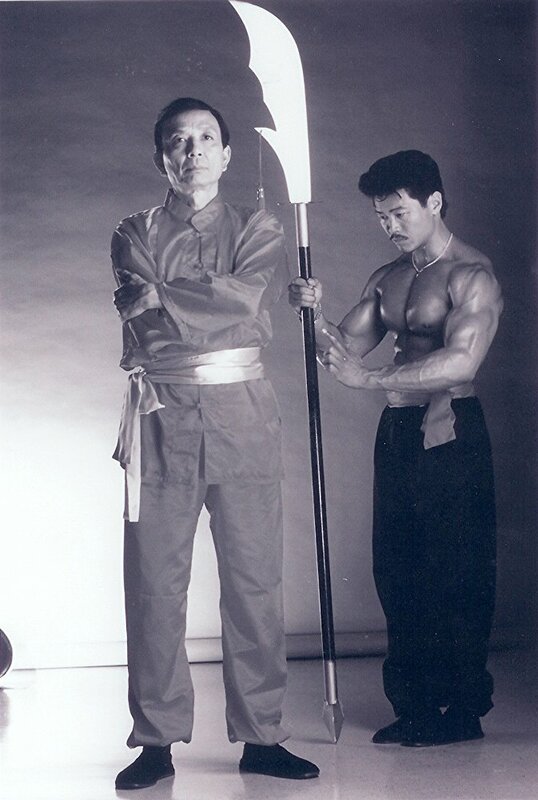 [THE DAILY GRINDHOUSE INTERVIEW] MARTIAL ARTIST & PRODUCER HARRY MOK! Since roundhouse-kicking his way into show business four decades ago, world-renowned martial artist and weightlifter Harry Mok has worked as an actor, stuntman, writer, director, producer, and just about every other conceivable job there is to do when it comes to making movies. Mok’s range of productions is similarly wide-ranging. To date, Mok has leapt with lightning speed from performing stunts on iconic action epics (RAMBO: FIRST BLOOD PART II, UNCOMMON VALOR) to creating and co-starring in a wild grindhouse adventures (THE VINEYARD, TALONS OF THE EAGLE) to directing hit music videos (Master P, Jermaine Dupri). 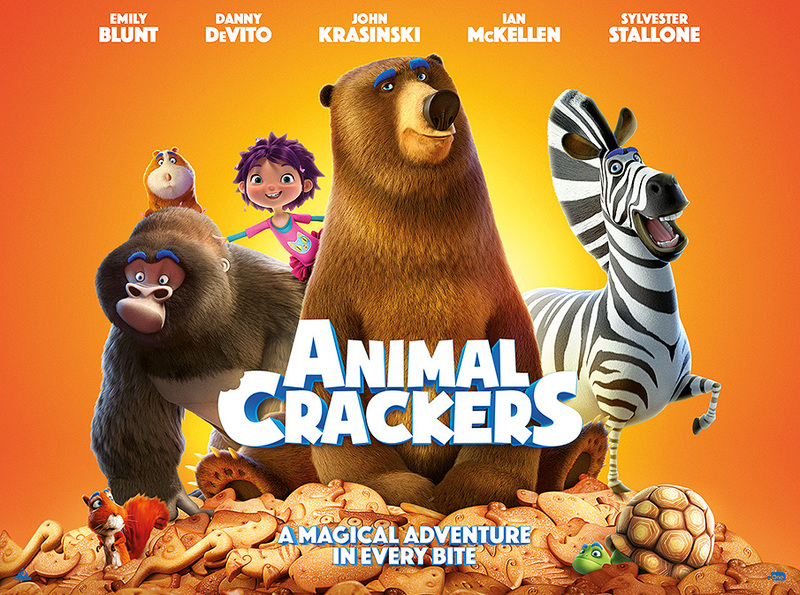 Perhaps most surprising is that Mok is also the executive producer of ANIMAL CRACKERS, an upcoming A-list animated family comedy featuring the vocal talents of (among many others) Emily Blunt, John Krasinski, Ian McKellen, and Harry’s old friend, Sylvester Stallone. Daily Grindhouse has always been a fan of Harry Mok, so it was great to talk to him. Here’s our conversation. Daily Grindhouse: Before we get into your legendary action movie career, let’s talk about ANIMAL CRACKERS. How did you come to produce an animated family film? Harry Mok: Well I was working on a project that needed animation, and I contacted my friend Scott Sava, who is just a brilliant artist and storyteller. He did such a wonderful job that we ended up making six animated shorts. They were just so impressive that Scott said, “You know what, I think I’d like to take one of my children’s books and turn it into a feature movie.” And that’s how we got ANIMAL CRACKERS. Daily Grindhouse: Sylvester Stallone is one of the voices in ANIMAL CRACKERS, and you famously worked with him on the stunts for RAMBO: FIRST BLOOD PART II. Can you tell us about your personal and professional relationship with Sly? Harry Mok: Stallone hired me personally to work on RAMBO II. I was originally going to do some kicks for him, but because of what I call “political BS”, that didn’t happen. So I never did it. But I was on the stunt team and Sylvester shoots me in the head with an arrow and pins me to a tree! Since then, we just stayed friends through all these years. We talk and I visit him on the set. So when we were putting ANIMAL CRACKERS together, I asked him to voice one of the characters. And he’s great. Sylvester’s getting great notices for playing Bullet-Man. He’s perfect! Daily Grindhouse: THE VINEYARD is a big favorite here at Daily Grindhouse — along with everything James Hong does. You’ve done a lot of work with James. So first, I’d like to ask you about working with James in general, and then about THE VINEYARD in particular. So I do that and I see up I’m up against Dustin Nguyen, who was the Asian guy in the original 21 JUMP STREET TV series. So, I’m just thinking, “Forget it! You’re not getting the part against Dustin Nguyen!” But I did the audition, and I got the part. I couldn’t believe it! So I walk outside, happy beyond anything I could imagine, and I see an action/martial arts stunt coordinator I had worked with on RAMBO II and UNCOMMON VALOR. He said hi, and I told him, “I just got KARATE KID II,” and he was like, “Oh … okay…” Two hours later, I was off the picture. I got a call and they said, “We’re so sorry, Mr. Weintraub has found someone else.” And I knew: that guy dogged me. Look, it happens. It’s a dog-eat-dog business. But I was crushed. I was in my 20s — you can just imagine. It was like my whole world came tumbling down. I sank into a period of real depression. So I thought to myself, “What can I do to make sure that never ever, ever, ever happens again?” And I realized the only way to do that was to be the boss. That’s how THE VINEYARD happened. Daily Grindhouse: And how did you come to work with James Hong? What I didn’t know is that THE VINEYARD has become a real cult movie overseas. I had no idea! I found out when I joined Facebook, and suddenly I’m getting friend requests from all over the world. And people started telling me from everywhere, “Hey, man! We really love THE VINEYARD!” I really had no idea. Another thing I found out is that a lot of my movies that never got theatrical play here in the U.S. do play in theaters overseas. People tell me about going to see my movies in theaters and I love it. It’s great. Daily Grindhouse: Another movie you worked on has become quite the cult item of late — NINJA BUSTERS. What was that like? Harry Mok: Wow! NINJA BUSTERS! That was a lot of fun. I got to work with a lot of people I know and that’s always great. I really enjoyed making that movie. Director Paul Kyriazi is one of my favorite people to work with. I’m also in his latest movie, FORBIDDEN POWER. Daily Grindhouse: Someone else you know is Billy Blanks, who you co-starred with in both TALONS OF THE EAGLE and TC 2000. What’s it like to work with Billy? So I did some Ka-Robics with Billy and I thought, “Well, this really isn’t that different from the martial arts training I’ve always done,” and then I didn’t really think about it. Five years later, Billy came out with Tae-Bo, and we all know the rest of that story. Billy is a very talented man. I can’t say it enough — Billy Blanks is a great guy. Daily Grindhouse: In addition to producing, you’re also a director. Can you talk to us about directing OBSTACLES (2000)? Harry Mok: Oh, OBSTACLES — well, I started directing that, and then they ran out of money. So I had to stop and I went to direct some Master P videos and then, when they were ready to start again, I wasn’t available. They did finish the movie, though, and it came out. I just haven’t seen the finished version. Daily Grindhouse: What’s next for you? 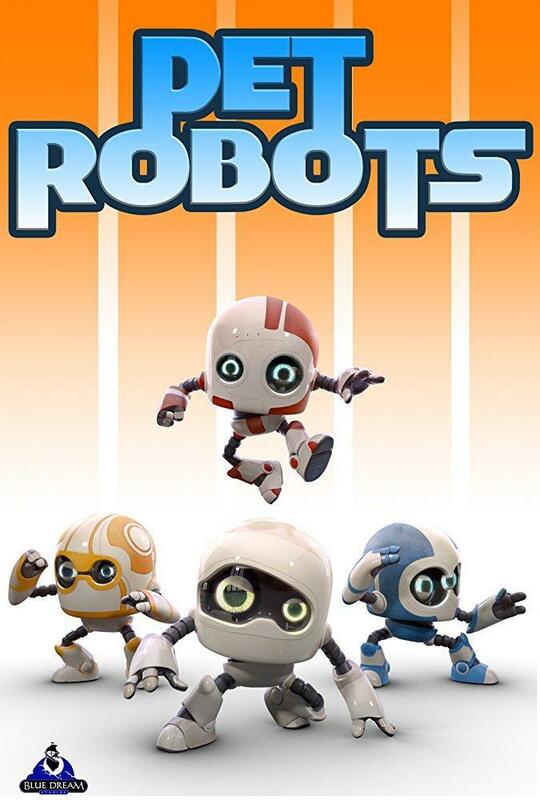 Harry Mok: We’re going to start work on PET ROBOTS, another animated feature like ANIMAL CRACKERS. We actually have a slate of 10 animated features to go into production, all Pixar-quality. It’s very exciting. I’m also keeping in touch with Paul Kyriazi. My FORBIDDEN POWER character is very interesting and there may be places to take that. And Paul always has more ideas!